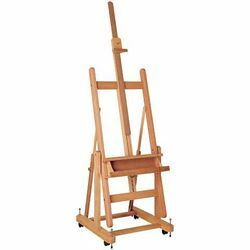 Crafted from oiled beech wood, this easel accepts both vertically and horizontally positioned canvases. What s more, the artist can lock the easel in any position between vertical and horizontal, allowing for angle selection based on personal style. 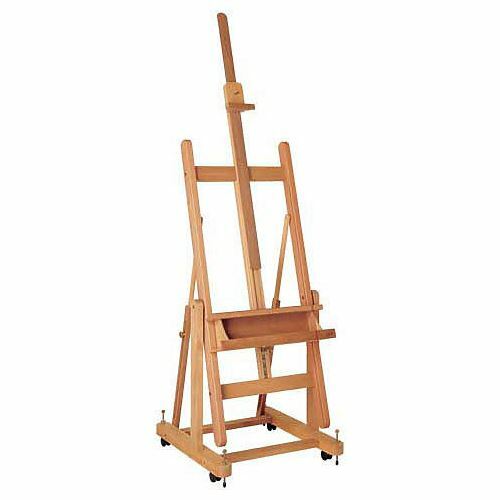 The easel s sturdy base has four lockable casters and is fitted with a storage area below the canvas ledge for tools, brushes and paints. The overall storage height is 91", with a maximum canvas height of approximately 65".